The last session of the STEPS Symposium on Credibility Across Cultures was promising. Its focus on “power, plurality and uncertainty” promised to shed light on how to open up expert advice, improve the governance of the science and technology decision-making process and engage with the wider public, all recurrent themes throughout the two day event. The presence of some surprise participants – a group of students concerned with the current wave of privatisation and its impact on education – gave further resonance to speakers’ calls for opening up expert advice and allow questions to be asked by all voices. Don’t get me wrong: the debate was not about privatisation either at the University of Sussex or within the wider education system in the UK. But the participation of newcomers to the high-level discussions on scientific advice for sustainability offered an interesting curtain raiser to explore power and the role of social movements in widening a debate that has mainly taken place in closed circles of scientists and policy-makers. When faced with uncertainty, power and plurality matters, Professor Andy Stirling, STEPS Centre co-director, reminded the audience. Despite many efforts to strengthen scientific methods, social movements are key in making space for all these voices to be heard. Indeed, power does not necessarily lie with politicians. “Social movements play an important part, especially in the long view, as illustrated with the 1970’s environmental movement which played a key part in changing the framing,” said Susan Owens, Professor of Environment and Policy at the University of Cambridge. Earlier in the day, Professor Lidia Brito, Director of Science Policy, at UNESCO, had emphasised that ‘S’ should stand for society rather than science. Connections between science and society are crucial if fruitful engagement with policy is to be achieved, she explained: “If scientists question a lot, society does it even better”. But governing S&T and ensuring that all voices are heard remains a sticky issue both within global structures for scientific advice such as the Intergovernmental Panel on Climate Change (IPCC) and at national level. In the UK, for example, the quest for good governance of technoscience is not new, as Prof Owens pointed out. New and emerging technologies require scrutiny beyond technical assessments to gauge their social and environmental impacts. Concerns about the disposal of nuclear radioactive waste, health impacts of nanotechnology and, more recently, geoengineering and fracking, have all highlighted major governance issues. While all these technologies have been subject to scrutiny, the persistence of concerns appears symptomatic of a debate that is often closed down. 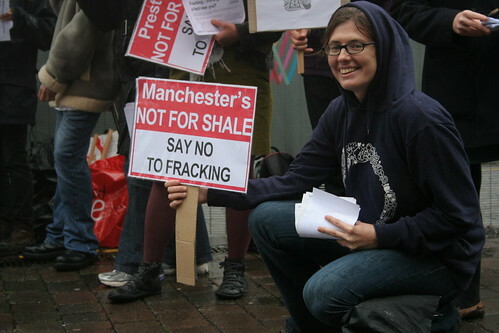 In the case of fracking, for example, critics remain virulent despite the Royal Society’s conclusions that associated health, safety and environmental risks extraction can be managed effectively in the UK. 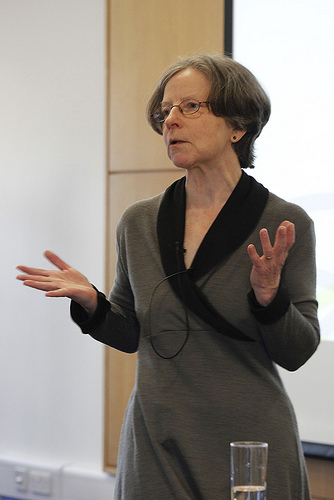 “Where most people diverge is not necessarily on science,” Susan Owens emphasised. Indeed, deliberation in public, and public deliberation, have different takes on opening up. Key questions need to be asked to clearly identify who the process is being open to, what you engage with and at what stage the process is being open: all of which trigger different answers with very different models of public engagement. Rather than narrowly focusing on risks, a key step is to encompass different views of both benefits and dangers and provide direction and application and control of technologies. Furthermore technology assessments and political processes must go in tandem to consider meaningful insights from new guests, including “uninvited participants”, to avoid an expert/public divide. Scrutiny about the role of money and power in constructing expertise and the potential impacts of the privatisation and corporatisation of science is also needed, said Dr Suman Sahai, the Delhi-based convenor of GeneCampaign. Already well-informed younger generations are questioning S&T because of the lack of transparency and participation of the decision process, she said. All these of issues need to be tackled, and with some urgency, if credibility is to be maintained across and within cultures.